Starting today, when you create a new DynamoDB table using the AWS Management Console, the table will have Auto Scaling enabled by default. DynamoDB Auto Scaling automatically adjusts read and write throughput capacity, in response to dynamically changing request volumes, with zero downtime. Previously, you had to manually provision read and write capacity based on anticipated application demands. If estimated incorrectly, this could result in underprovisioning or overprovisioning capacity. Underprovisioning could slow down application performance, and overprovisioning could result in underutilized resources and higher costs. With DynamoDB Auto Scaling, you simply set your desired throughput utilization target, minimum and maximum limits, and Auto Scaling takes care of the rest. 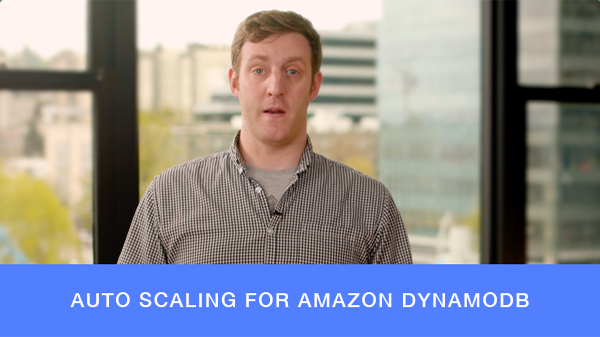 DynamoDB Auto Scaling works with Amazon CloudWatch to continuously monitor actual throughput consumption, and scales capacity up or down automatically, when actual utilization deviates from your target. Auto Scaling can be enabled for new and existing tables, and global secondary indexes. You can enable Auto Scaling with just a few clicks in the AWS Management Console, where you'll also have full visibility into scaling activities. You can also manage DynamoDB Auto Scaling programmatically, using the AWS Command Line Interface and the AWS Software Development Kits. There is no additional cost to use DynamoDB Auto Scaling, beyond what you already pay for DynamoDB and CloudWatch alarms. DynamoDB Auto Scaling is available in all AWS regions, effective immediately. To learn more, see our blog post Auto Scaling for Amazon DynamoDB, and the DynamoDB Developer Guide.